Do you want your sensor to shift in-body to create a higher-resolution image? Want 4.5-stop image stabilization built into the body so we can benefit from its use with any lens? Want to be able to decide for every shot exactly what level of anti-aliasing you want in order to balance moiré and sharpness? It’s all possible with the new 24-megapixel, APS-C Pentax K-3 II. And, it'll likely be possible in their rumored full-frame camera. Pentax is great, but why aren’t we seeing the “bigger” brands pony up with groundbreaking features? To what will be the eventual detriment of the big brands, Pentax is apparently more than willing to include new features that we all dream of, proving that it is in fact very possible to include these features in today’s cameras without having to wait for tomorrow. Perhaps the greatest of these achievements in ingenuity is the promise of the ability for the sensor to make micro-adjustments for the purpose of tracking with the night sky. Yes, the K-3 II’s AstroTracer technology shifts the sensor in tiny increments to match Earth’s rotation so stars can stay sharp during relatively short exposures (I’m not entirely sure, but of course, this likely won’t work for long exposures since the sensor can only shift so much before it’s out of the lens’ area of projection… still, quite impressive as-is). Instead of including a physical anti-aliasing filter over the sensor (which essentially blurs the image just slightly to avoid moiré), the new Pentax body, like its predecessor, also relies on its sensor vibration capabilities to provide anti-aliasing filter effects that are adjustable for every shot. Shooting a group of groomsmen with high-contrast, funky pin-stripe suits? Crank up that anti-aliasing effect. Shooting a landscape or portrait? Turn it off completely to have the sharpest image possible. 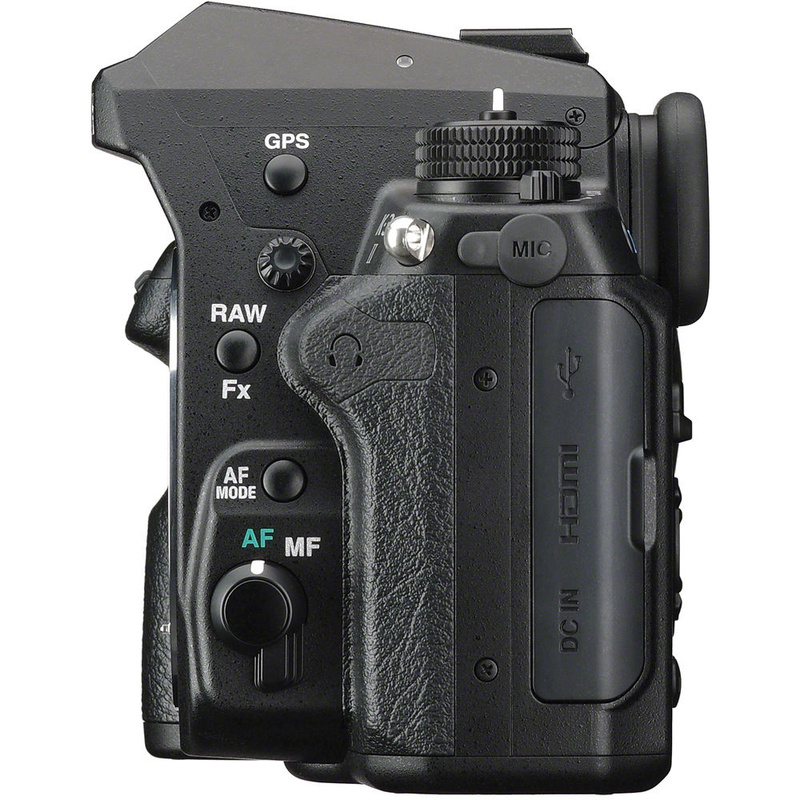 Why does Nikon not include GPS and instead charge just short of $300 (a third the value of the Pentax K-3 II) for an additional GPS dongle? 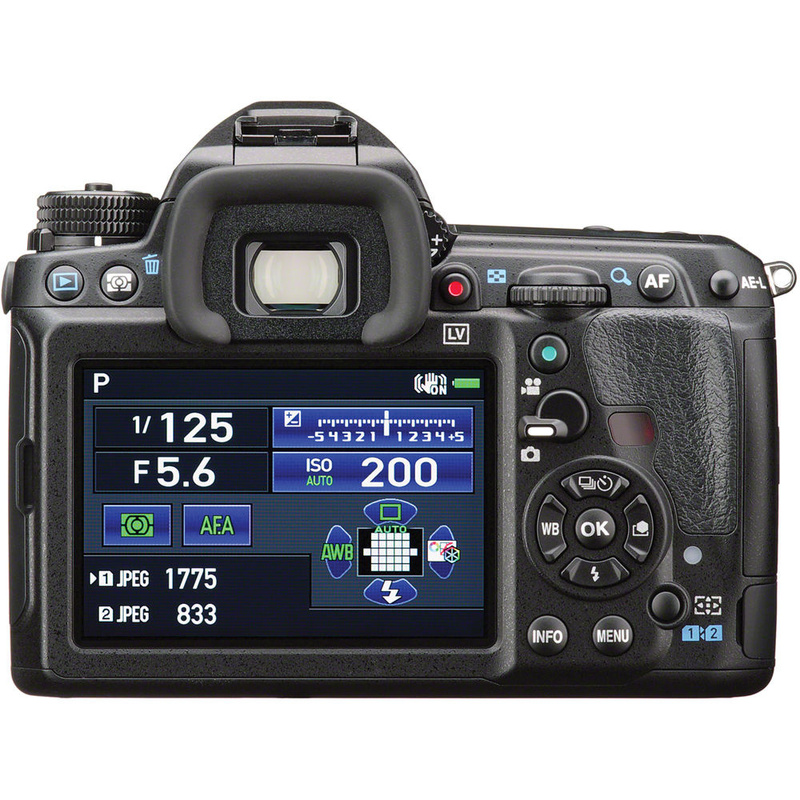 Why does Canon not step up and add some kind of similarly adjustable anti-aliasing filter technology to their pro bodies, let alone to their pro-sumer APS-C bodies? Nikon and Canon sell to the masses. They don’t need to cater to each and every wish of the general public. They have such a following and such a massive lens selection that people won’t switch for one or two or even six fantastic features that one camera might have over another if it means leaving their current brand. And after all, it’s not your gear that gets you the great shot; it’s you. Of course, there’s a limit to that, as with everything. If Nikon and Canon were to stop developing altogether, hoards of people would switch to other brands that would surpass their then-two-year-old ISO capabilities, etc. But as long as they continue to increase sensitivity, pixel size, sensor size across the board (slowly, but steadily, of course), megapixel count (in certain instances), autofocus speed, processor speed, and so on, they’ll have covered the big things that people really can’t live without. And that’s enough to continue selling what they sell. Nikon and Canon could put more R&D into in-body stabilization (I’m sure they’ve already put in plenty). However they know it would cannibalize some of their VR/IS lens sales and would be expensive to implement, eating into already relatively low margins for each body they sell. They could implement sensor-shift technologies for cheaper, ultra-resolution bodies, but they’d miss out on new 5DS and D810 successor sales to many landscape photographers unless they charged a ridiculous premium for the sensor-shifting camera, and then people wouldn’t buy it. Go for it. 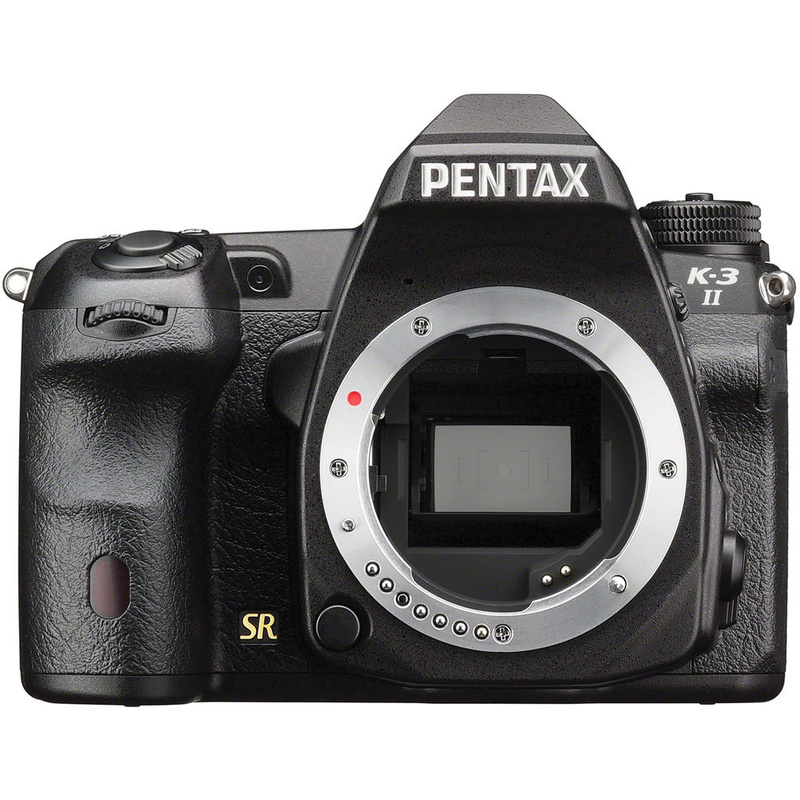 If you want the extra features Pentax offers in the K-3 II, jump ship. It’s not a pretty place to have to jump. It might be the best decision you’ve made for the next year or two. But soon enough, you’ll suffer from the grass-is-greener predicament. You’ll miss near-perfect autofocus for what’s likely excellent autofocus in the K-3, but just not quite as good. You’ll miss the lens selection available on the other systems as your shooting style begins to change slightly. You’ll miss regular software updates and the benefit of the massive availability of multiple used copies of the lens you want in your area, so you’ll have to buy new lenses more often thanks to the lack of “Craigslist support” for less popular systems. And depending on who you are and what programs are available to you, you may miss out on some great behind-the-scenes support through NPS or CPS when you’re in a bind. It’s not a pretty world we live in. If you don’t jump ship, then you’ve reserved yourself to the fact that you won’t need to hold your breath. And nor should you. These features won’t even be coming in the full frame D5 or the 1D X Mark II (if that’s what they’re to be called). There won’t be a D750 or D610 "Pro" with proper professional controls and a 1/8000 top-end shutter speed; it’ll be either/or if we’re lucky. There won’t be a D810 or 5DS with sensor-shift capabilities to create 200-megapixel and/or extremely color and detail-rich images next year (something that oddly enough puts Pentax and Hasselblad in a similar box with their K-3 II for color/detail and H5D-200MS for resolution, respectively). There's a good chance you’ll see in-body stabilization in a D7600 and T9i before you see it in a D6 or 1D Z Mk V.
You might see one of those features creep in throughout the next couple years, but it’ll take a decade or more before you see that all happen for Nikon and Canon. Even then there will be other technologies missing from their new bodies. Going back to jumping ship… it’s a blindfolded exercise; you don’t know who will jump with you. You might be like all of the original Apple users who were pioneers with their computer-selection decisions, or you could find yourself stuck in a system that doesn’t want to move forward in a few years. It’s not even up to Pentax. That part is up to the market. 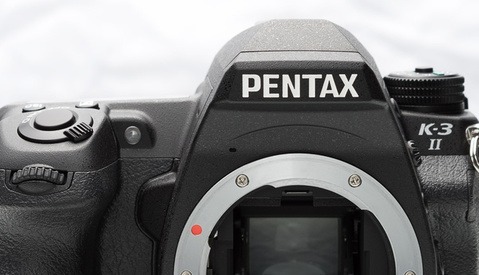 Even Pentax executives can’t ignore a lack of sales if that’s what happens. And then again, they could sell out. They could sell more and more and introduce more and more lenses and finally restore their name to what its pre-digital glory. Let’s not forget, Pentax gave us the first production 35mm autofocus SLR with the Pentax ME F (even if it wasn’t that great at the time), the game-changing Asahi Pentax (the popularity of which pushed the company to change its name from Asahi to Pentax, which is like if Nikon changed its name to D1 back in 2001), the beloved Pentax 67 tank, and even continue that tradition with today’s best deal in medium format digital with the Pentax 645Z. Unfortunately, there just is no good choice. We don’t have a good Bible to consult in these tough times. The scary part is that there’s potentially a right and wrong; but what it is, no one can tell you. You can try to start a Nikon boycott if it bugs you so much, but as much as Nikon Rumors’ readers, DPReview’s readers, and our own readers might all know about it and agree, all the dads and moms at Best Buy won’t care one bit because they will not have heard a thing when they line up to buy that Nikon D5500 with the 55-200mm kit lens to take photos at their daughters’ cheerleading competitions. And you can put good money down guessing that none of Nikon’s or Canon’s long-time pros will leave them. They’d be stupid to, and they wouldn’t want to, either. After all, it’s not about the gear, it’s about what you can do with the gear. Nikon’s pros can do what they really need to, and so can you. So, Pentax: Thank you for your work. Seriously. It’s really, really neat to see these things developing at extremely reasonable prices, making high-end tech available to the masses should they want it. The features in the K-3 II will undoubtedly help capture better shots for those that go for it. I can’t recommend switching as much as I can’t recommend staying with the big boys. Do I wish Pentax had the plethora of lens choices and ridiculously high following that others have? Of course. And would I switch if they did? I quite possibly would (for a full-frame version, perhaps, which Pentax promised by the end of the year when it showed off an extremely limited glimpse of a prototype at CP+). But as much as I love, talk about, research, and search for the best gear in the business, I also really do believe that it just doesn’t matter. These are all conveniences. And it’s incredibly hard to build a business, a lifestyle, and a gear-purchasing habit that chases the distraction of conveniences over the simplicity of necessities. I’ve managed to do that, not-so-surprisingly enough. More and more though, I find myself just not caring. I’m selling a lot of my equipment, narrowing down the selection of lenses in my bag in favor of the three primes I use most often, purchasing smaller bags to travel with, and trying to be less brand-dependent. Will Pentax find its way into my bag with the new full-frame? Perhaps. Although that could just as well be Sony with their A7 series, Nikon with their new rumored full-frame mirrorless (if it sees the light of day in the next year or two), or even back to Pentax again with their 645Z. I’ve opened myself up to so many more possibilities with this new simplification, and it’s such a relief. It’s all because I finally started following my own advice. Maybe we should all try to simplify and care just a little bit less about the gear. Find the three lenses that work for us, grab a body or two, and just go shoot. I used Pentax from 2006 to 2013 (had K100d, K200d, and K5), then switched to Canon 6D. It was good, because it's full frame. But on many aspects K5 was better. This year i switched all the way again to Nikon. Very pleased with the D750, but Pentax full frame is coming next year (or even before the year end), and I will have to rethink everything once more. I agree, I worked in camera retail for years which made things worse for me. But the best thing I have done so far is to stop thinking about the next piece of gear and if I should "upgrade", and instead put all that energy into taking the next shot. I also went full time photography to get away from the retail temptation. But your on the right track Adam and I wish you the best of luck. I'm the first to attest that it's the "creative vision" of the artist and not so much the ultimate equipment (especially the brand name). 1. I STILL love my old work shot with my first Nikon... a mere D80. 2. Now I'm happily soaring ahead (and very happily NOT upgrading nor brand-hopping) with my Nikon D800 (and LR 5... no upgrades there, either). 3. Here's a very recent shoot employing the ("old version") of the 85 1.4 and natural light. VSCO and Alien Skin Exposure. Build quality on Pentax bodies is better, think REAL weather sealing and a twist and lock mechanism on the battery door, some camera models could literally be used under a waterfall without any issue. Unfortunately there is no full frame 35mm pentax camera and from what I remember ISO performance was horrid. A 35mm DSLR is coming, as mentioned in the article. 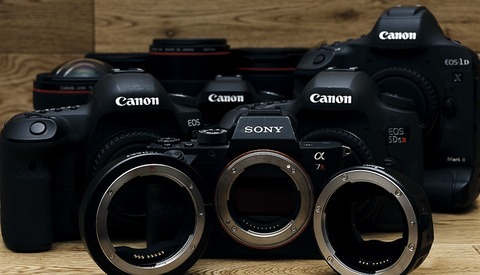 The high-ISO capability is equivalent to the best Nikon APS-C cameras on the market, probably because they are all using the same Sony sensors. High ISO works best on full frame bodies (see D750), so Ricoh / Pentax needs to catch up a lot of things since the last full frame was 15 years ago? Well, it works even better on medium format (see 645Z) so I think Pentax will be just fine with their upcoming 35mm model. The first SLR film camera was the Pentax Spotmatic.I started using it for wedding photography and everything else in 1975. I still have it and could still shoot a wedding with it if I had to. That started a long love affair with pentax cameras.My pentax MZS film camera is a treasured possession.I bought a Canon Camera when I had problems with my Pentax*istD and was about to shoot a wedding. I spilt coke all over the pentax. Not recommended ! I bought a Canon 400d to shoot the soon coming wedding in 2006.Since then I have bought 2 more Pentax Digital SLR's and one Canon.(600d). I love the Canon 600d and also the pentax Kr in particular. I have always been amused by people who seem to think Pentax equipment is inferior. There are some acclaimed professionals who always used Pentax including Robert Glenn Ketchum.I don't know whether he uses Pentax digital but I guess he might indulge in the Pentax 645z.In a camera retailer shop yesterday I had a conversation with a couple who were looking to buy a new camera.They were looking at pentax and nikon. The shop did not stock pentax.I had a conversation as they were looking at the canon 600d and others. I pointed out the benefits of the pentax system and value for money and they left the shop without a camera and considering my suggestions.My next buys in cameras will more than likely be a pentax as above or of the promised full frame. 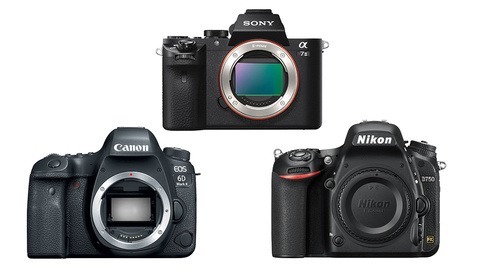 The 645z is till on the wish list.I will also consider another Canon. 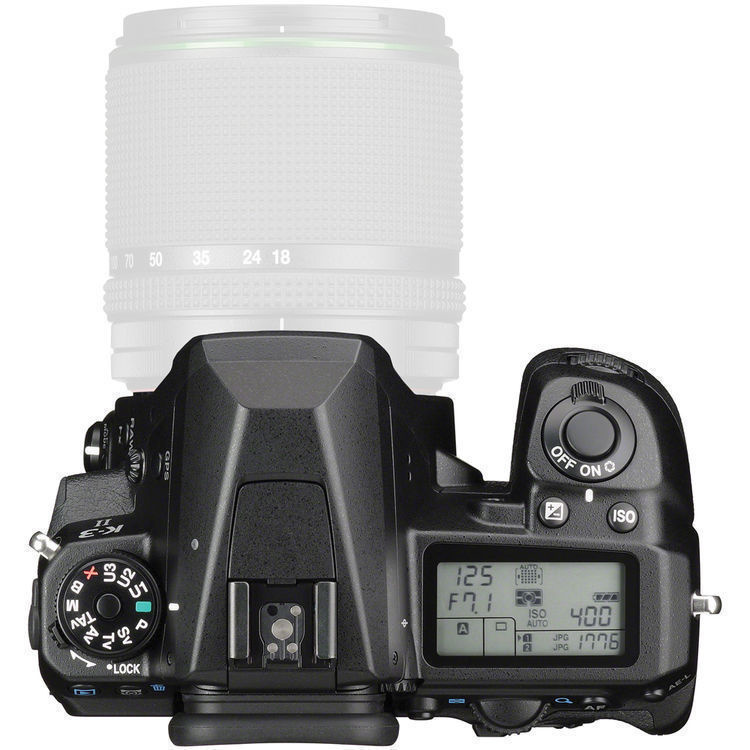 I like the specs of the canon 7d mark 2. All my old lenses which are many are backward compatible with my Pentax digital slr's.I do shoot mostly for pleasure not profit these days. It is the person not the camera that captures a great image. Some of the photography taken on ancient glass plate large format cameras of 100 years ago is outstanding. A correction. My first slr film camera was the pentax spotmatic. It was not to my knowledge the first slr film camera. I own a 645Z and its amazing, but now I need something smaller also, and I'm eyeing the K-3II, but at the same time all the new mirrorless cameras are raising my eyes. I got to use the Oly em5II and its super small, weather sealed, 5 axis stabilized, and super fast focusing, and the output files look amazing. (even at 16MP, upsizing the pics to 20MP looks as good as the files straight from my 5DMkII). Only thing its missing is a good high ISO, but then again, Id use my Z for that. I have 645Z for 10 months and I will not ever go back to Nikon or Canon. Thats how huge different is between them. I am considering Leica MM 246 to have something more portable for daily (more discreet) use, but price is not acceptable so I might end up with Sony. I tried Fuji and thats a big NO NO too. Interesting.. Thanks for the insight. I'll continue looking into it, then. Adam, anything particular you want to know ? (I'm coming from a Canon 5dmkII, and RZ67 ProIID). As your saying your looking at a A7 type body, along with a 645z, it sounds good. Problem I'm having is the 645Z files are overkill for events or straight to web, not to mention vacation pics. I just shot a bikini contest and had to convert 900 pics from 51mp to 16mp from raw, on a MacbookPro, it was painful. Took about 7 hours, hence why I need something with less resolution, like the Olympus, or even the Sony A7S. (not to mention, 915 raw pics came to 64.85GB, while after converting to 16MP it shrunk it down to 7.67GB. So if your grabbing a Z, make sure you invest in large drives and large cards.) So eyeing something with a low MP would work perfectly for me as I just sold my 5DMKII, anyways If I need to shoot in studio or for an editorial shoot, then without a doubt ill grab my 645z, but like I said its overkill. And another thing is your going to have to change your shooting style a bit, using the 55mm on the Z I can handhold it at a 1/60th and usually get great shots, but you'll more often want at least a 1/125-1/200th sec for clean steady shots, unless of course you pick up one of the stabilized lenses. (which then you'll need to cough up another $4.5-$5k a piece). Im used to shooting MF with my RZ67 so its not really an issue for me, but those used to DSLR autofocus is where you might rethink how you use it. Its technically just a center focus AF system since all the points are clustered in the middle. (although it does lock on pretty well most of the time, and I had no problem at MB Fashion Week using the C.AF with about a 95% success rate, about the same as my 5dmkII). Not really sure if you have any questions, but if you do let me know. Thank you.... I am going to rent one one of these days to see for myself, but the AF is a small issue I'm worried about... I just need to be able to do basic street photography. If I can lock focus and reframe, it's not the biggest deal.... Hasselblad's True Focus helps with keeping focus despite moving the camera afterwards if it's "just" a small rotation, etc. But Pentax doesn't seem to have that doing in this case... But not the biggest deal. I'd rather have it speedy in the middle than slow on the sides. For vacation, I just don't shoot that many images anymore. I usually have a small shoulder bag with me and would be fine taking each camera with one lens and using the 645z in case something special came up....so that might be okay. And yeah, I was definitely going to go for the 90mm and 25mm most likely (the 25 OR the wide zoom they have....can't decide, but it kind of worries me that the 25 is already discontinued..was something wrong with it, etc.?). It is little challenging to get photos in focus from 90mm wide open at first few weeks, but you will get use to it. This camera slows me down and thats what I want, I dont want to bring home thousands photos from every shoot. And depending on your workflow, you may need faster computer with fast drives and a lot of ram. 25mm is fine, they had some issues with manufacturer I believe. Zoom looks better, but the weight is huge issue. Know what you mean, something amazing about MF. (one reason I love my RZ67, the 110 2.8 lens on it gives you a look that you just can't get even with an 85 1.2 on Canon FF). Yes, but I rather buy CCD Leica, it has similar feeling and seeing 100% from M is very good comparing to Z. "The answer: Nikon and Canon sell to the masses." Pentax heritage has been driven by something else. The amazing thing at the moment is that Ricoh has respected the Pentax heritage and allowed Pentax to continue to innovate and "Be Pentax" (good t-shirt slogan there). We Pentaxians should be very grateful for that. 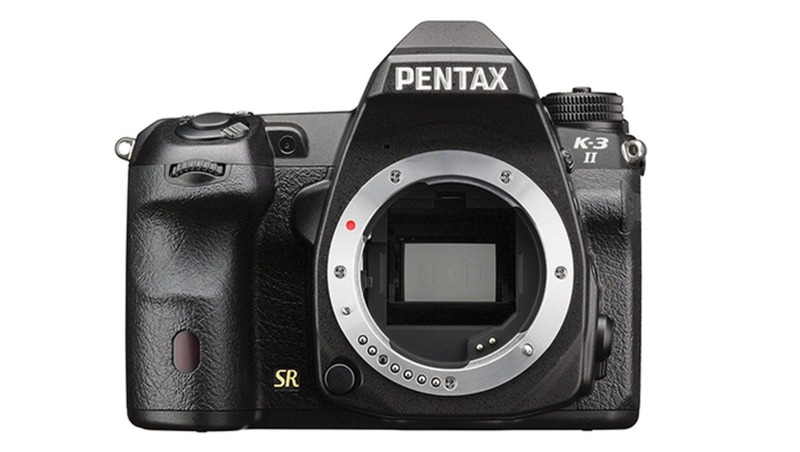 The removal of "Ricoh" from the back of the K-3II is a nod to the fact that many of us are proud Pentaxians, and some of us made some noise about that. I, for one, don't mind "Ricoh" being on the back of my K-3, because I appreciate that Ricoh not only saved the brand but also deliberately saved the heritage it had, and did not turn Pentax into some mass consumer nonsense. "It’s really, really neat to see these things developing at extremely reasonable prices, making high-end tech available to the masses should they want it. The features in the K-3 II will undoubtedly help capture better shots for those that go for it." "Should they want it." Key phrase. One needs to understand "Pentaxianism" to appreciate it. (DPR very much does not understand it, sad to say; they snark it as a result.) The writer ultimately posits that it does not matter what you shoot with. That may very well be true. But it is worth noting that the inspiration of the writer's entire thesis, and his effort to articulate it, was inspired by the uniqueness of Pentax, not by the mass-appeal of (yawn) Canon and Nikon. And that's the contradiction/paradox in the end... At the end of it, I'm at a loss. It does matter. It doesn't matter. But it all really doesn't matter. But it's great you point that out...because you're hitting on it -- the fickle nature of our (or at least my) relationship to our gear. For me, I'm starting to let go. But I still have this respect for great gear that will be hard not to listen to or to assuage with new gear down the road. Time will tell exactly what I will do... But for now...Did I contradict myself? Very well then....I contradict myself; I am large...I contain multitudes. As a former Pentax user all the way up the the K5, I love to see Pentax add all of these cool features. Unfortunately for them, they don't work hard enough on the features that matter to me. My last Pentax was the K5 and it's AF was atrocious. It's metering was sub-par, and the flash system is the worst of any brand. AF is the single most important quality in a camera for me. I feel like this is Pentax's weakest point. Those of you who own K3 bodies, please let me know if the world has changed. The metering system was so easily fooled into under/over exposing an image that I was constantly adjusting exposure compensation. I understand that I could shoot in manual and alleviate that issue, but I feel that any prosumer-level DSLR should be able to properly expose a scene 90% of the time. The flash system is by war the worst of the major brands, and since Pentax is such a small-time player, none of the aftermarket companies support them. 1/160th sync speed and inconsistent flash metering were both hallmarks of my K5. I really hope that now they have some financial support from Ricoh that they can work on this stuff and make some really great cameras, but I think I am going to stick with Nikon, because they are better in all of the categories that matter to me. Pentax is about the only brand that doesn't support tethering besides 645z (pk tether doesn't count as it does not support the newer models, Flucard is way too slow). A lot of the times even photographers working mostly outdoors need the option to tether, and option which seems simple to add. The focus is really lagging behind, and their lens lineup is extremely outdated. Lacking in large aperture and fast focusing lenses, its just not a great working camera for many situations. The anti-aliasing trick used by the k3 is nice in principle, but turning it on brings a weird shake and sound every time you press the shutter, daunting enough for me to keep it off permanently. Although i the K3 is the most solid built camera I have ever used, Pentax has many little flaws here and there which make it hard to use as professional system. I went from Pentax to Nikon a few years ago (had two K5s, beautiful cameras) for full frame (D800). Would have stayed Pentax had the official FF announcement had of happened around then, too late. Having said that, though, I can say that they've always been a joy to shoot with. Pentax makes a photographer's camera and it shows in the details. For what it's worth, Astrotracer has been available for years with the O-GPS on Pentax cameras. The maximum length of time depends on which lens, but I know that it can go up to at least five minutes. If you search for the astrotracer tag in flickr, you'll see quite a few examples. Nice camera, not much support. I tried to make the switch to Sony, but couldn't sell my Nikon gear... nobody is buying, and I wasn't willing to sell for a loss. I'll wind up buying Sony and keeping my Nikon stuff as paperweights.